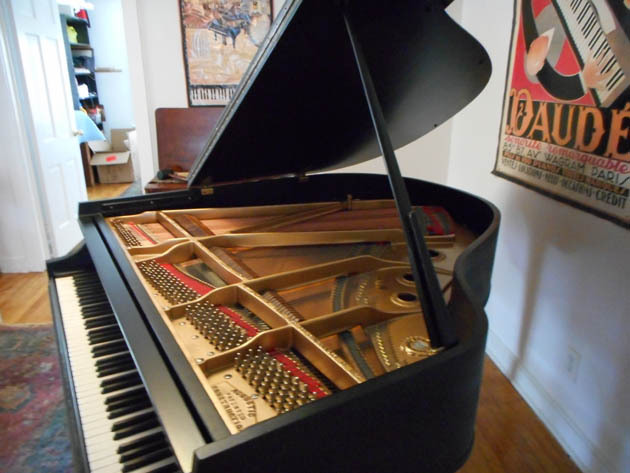 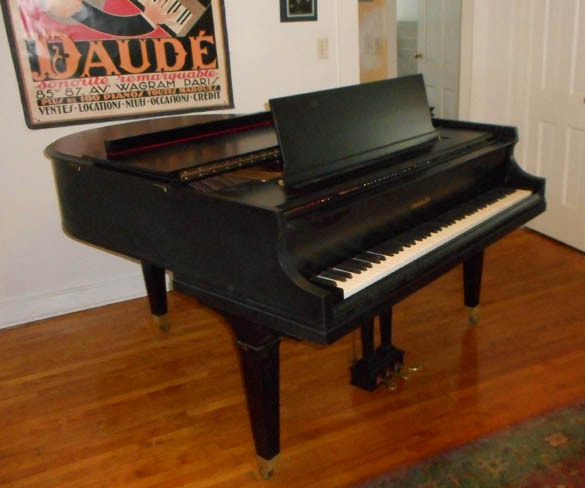 1930’s Baldwin “M” 5’1″ baby grand; Beloved by jazz musicians and the featured piano of the Cotton Club, [and later, Liberace] Baldwins were noted for their power and the crystalline brilliance of their treble. 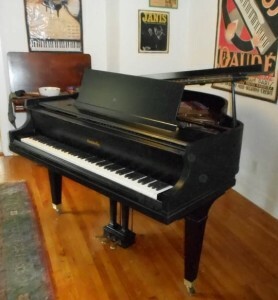 This little grand had been a speakeasy piano in its earliest years, and I rescued it from filth and a hideous “antiqueing” job. Now it’s been completely rebuilt with a new pinblock and strings, and a set of new keys and Abel hammers. It’s ready to reward anyone who would play it with an absolutely spectacular sound, the kind of tone that modern Asian pianos have no clue from. The case has been resprayed black, and has a respectable appearance [plus a bench] but will never win any beauty awards.